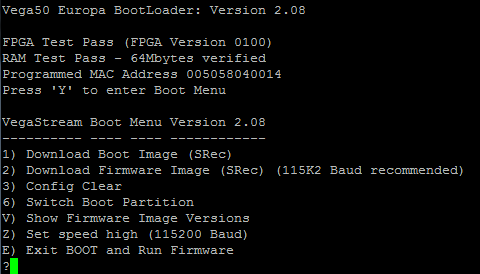 If your Sangoma Vega gateway is exhibiting issues that you believe can only be resolved by factory resetting the unit, or you have forgotten login passwords for the unit, then follow these instructions. You will need a serial cable to perform these steps. You will need a copy of your gateway's licence key as this will be lost after wiping the unit. 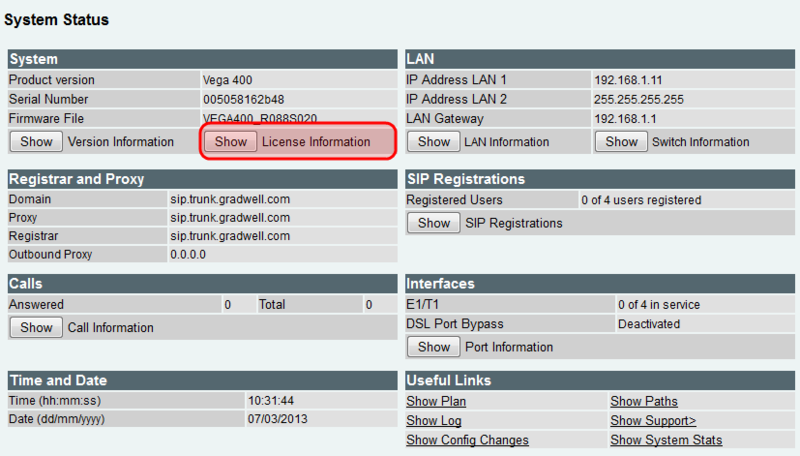 To find this, login to the web interface and click on the Show button alongside License Information. The licence key will be displayed - copy and paste this into a file and keep it safe. Connect your Vega to a PC through the serial port with the Vega console cable. Using a terminal console application such as PuTTY or Hyper Terminal set the following serial port to 9600 baud. Turn your Vega gateway off, and then it on. In your console application, continually press the Y key to enter the boot menu. Select option three from the menu (config clear) and confirm that you wish to do this. You will receive a confirmation that the configuration has been cleared. Press E to exit the boot menu. 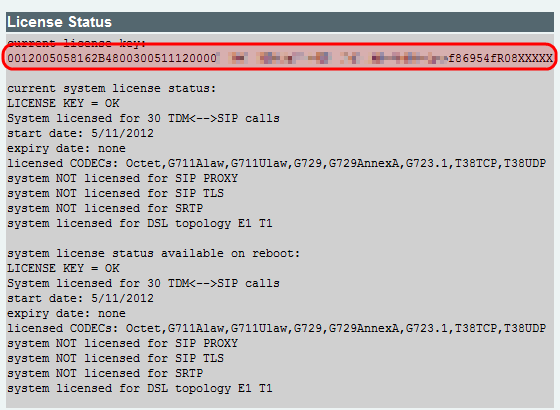 Login to the web interface again and click on the Show button alongside License Information. At the bottom of the page paste your licence key into the Enter New License Key field and click Submit.